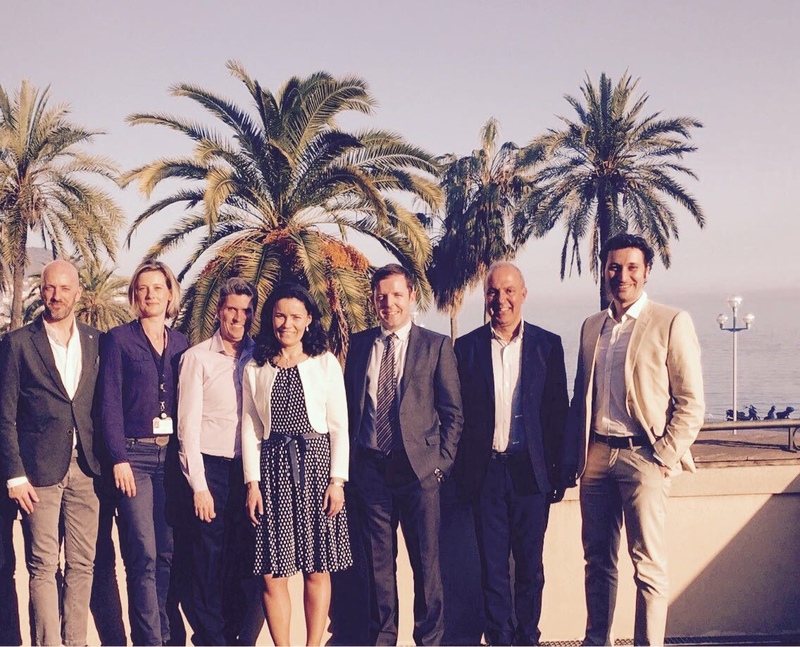 The Direct Booking Expert Bookassist was invited by Enterprise Ireland to speak at Hospitality and Tourism Knowledge Forums in Nice and Cannes on March 16th and 17th. Bookassist was joined by Irish companies Fexco, B-Sm@rk and Castlebrook for a high level international discussion with local hospitality and tourism professionals. Addressing delegates at the Cannes forum, Minister Leo Varadkar spoke of the position Ireland holds as a leading innovator for technologies in the travel Industry. He also referred to the opportunities that exist between Irish companies and local companies, encouraging mutually beneficial exchange and collaboration. A business lunch hosted by Cannes in the presence of Minister Leo Varadkar and Her Excellency Ambassador Ms Geraldine Byrne Nason concluded the high profile event. The Direct Booking Expert™ Bookassist® (bookassist.com) has today launched an entirely new approach to online booking for hotel websites at the ITB travel and technology exhibition in Berlin. Following a significant technology upgrade to the company’s Booking Engine software platform in early January this year, this latest addition provides a hotel’s online customers with a new interactive and highly dynamic view of room types and rates for up to 24 months in the future. The new dynamic Price Calendar functionality presents an alternative interface for customers who wish to quickly browse rates and special offers and locate the best deals. That alternative view gives hotels an additional opportunity to convert online lookers to bookers, or to encourage up-selling to potentially higher-value packages and specials. Price Calendar has also been shown to keep potential customers browsing on-site for far longer than the typical booking process, improving conversion and allowing hotels more time to “message” potential guests regarding special offers. Unlike competitor approaches that struggle with loading and reloading data and frustrate the user with delays, Bookassist’s Price Calendar is built with the latest dynamic user-interface technologies, allowing up to 2 years of dates to be instantly and effortlessly shown for each and every room type without further data loading. The interface is fully touch-aware, with the flick of a finger navigating smoothly across months of prices, with clear highlighting of the best value offers. A few simple clicks or taps converts a choice into a booking. Price Calendar begins roll out this month to existing Bookassist Booking Engine clients. It will be offered as an additional parallel view to the standard booking process for bookers who have flexibility on dates. Price Calendar will also be offered as an automatic alternative when the booker’s originally chosen dates in the standard booking process result in no availability. ​Bookassist is on a quest to shake and wake hoteliers up to the dormant profit potential that awaits them if they realise their full online direct potential. Bookassist’s new Direct Booking Health Clinic, launching at ITB Berlin on March 8th, allows hotels to benchmark their hotel’s online strategy against the highest industry standards. The full series of checks results in an overall personalised Direct Booking Health Score™ for each hotel that addresses the unique and individual challenges they face in building their direct business and driving stronger profit. The Direct Booking Health Clinic was born out of countless meetings with hotels across Europe over the last number of months to analyse the complex issues hotels are facing online today. What is clear is that hotels have to attend to many things in order to optimise their direct route, but it’s also clear that they risk wasting time and money if these tasks are not actioned properly and given proper priority. 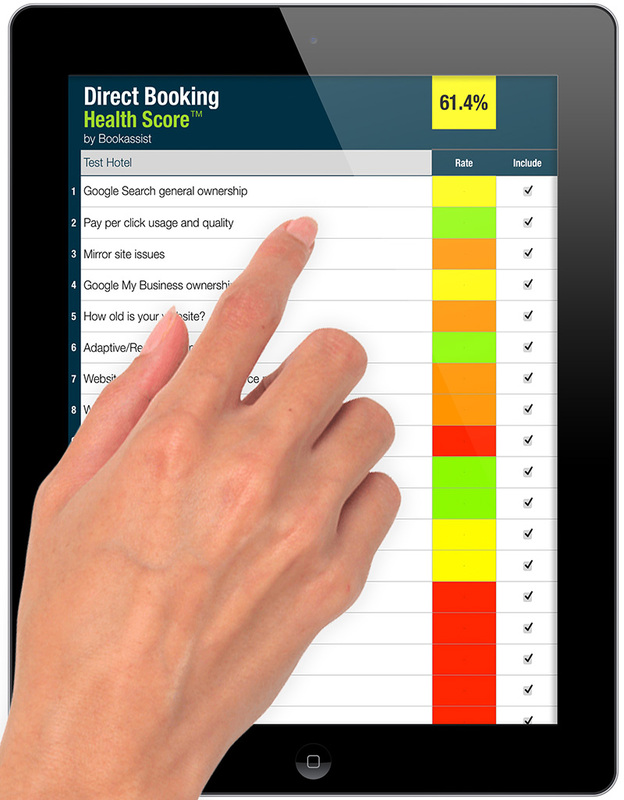 Bookassist has constructed the Direct Booking Health Score™ to address those issues and help hotels fine tune their approach to direct business to ensure optimum results. Hotels already know that they should focus on direct and have seen the chains fight back against OTA dominance to woo the customer directly. But understanding where to start and what should be given priority can be difficult. What happens if you optimise certain things but not others? Will it be worth your while putting the effort in? How does it impact on your revenue and profitability? These are the questions Bookassist’s Direct Booking Health Clinic answers for you, practically and in detail. Bookassist’s Google Premium Partner-qualified expert conversion team conduct critical tests to provide hotels with their overall Direct Booking Health Score™. They scientifically assess a hotel’s digital marketing strategy, search engine positioning, web and mobile design standards, on-site conversion potential and booking engine optimisation and compare with industry best practice. The clinic analysis presents the issues, good and bad, in such a way that the hotel can immediately “see” the state of their online Direct Booking Health, and can appreciate the things that need their attention and the things that need priority. Bookassist’s conversion experts advise on ways in which hotels can measurably improve and present practical steps that hotels can take to better their own unique situation. Hotels can gain inspiration from some real-life examples of their peers who are reaping the rewards of having higher scores. Bookassist will be showcasing the strategy tool at an upcoming event in Google HQ in Dublin and will be running regular clinics throughout the year to help hotels make a real difference to their direct business.